Plantar fasciitis is an epidemic in our society that plagues not only runners, but even sedentary individuals. 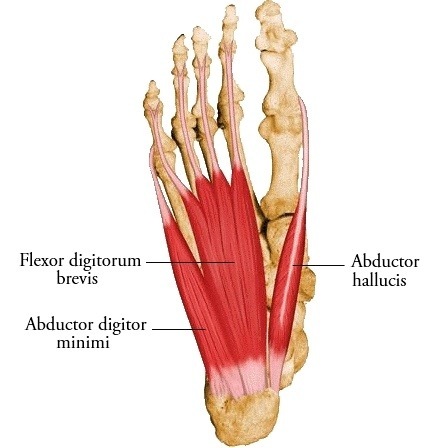 The most likely explanation for the condition is overuse to the musculature that inserts near the plantar fascia – the abductor hallucis, abductor digiti minimi, and flexor hallucis brevis. In fact, recent studies show that after performing a plantar fasciectomy (surgical release of the plantar fascia) the tissue sent to the pathologist revealed no inflammatory changes. This leads many practitioners to believe the condition is more muscular which explains the pain upon rising in the morning or after periods of rest. The muscular tissues that are inflamed are attempting to heal themselves and need to be stretched or warmed up to reduce the pain. Then, after periods of activity, the muscles again become sore leading to pain later in the day. 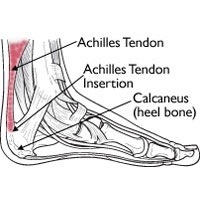 The result – chronic pain to the heel and or arch area. Applying ice to any inflamed has been proven to reduce the inflammation and thereby reducing pain. The most common way of icing the foot is by a traditional back of ice, or even cold vegetables such as peas or corn. While this works very well, repetitive icing is time consuming to prepare a perfect sized ice bag and can be very messy when the ice melts and leakage occurs. 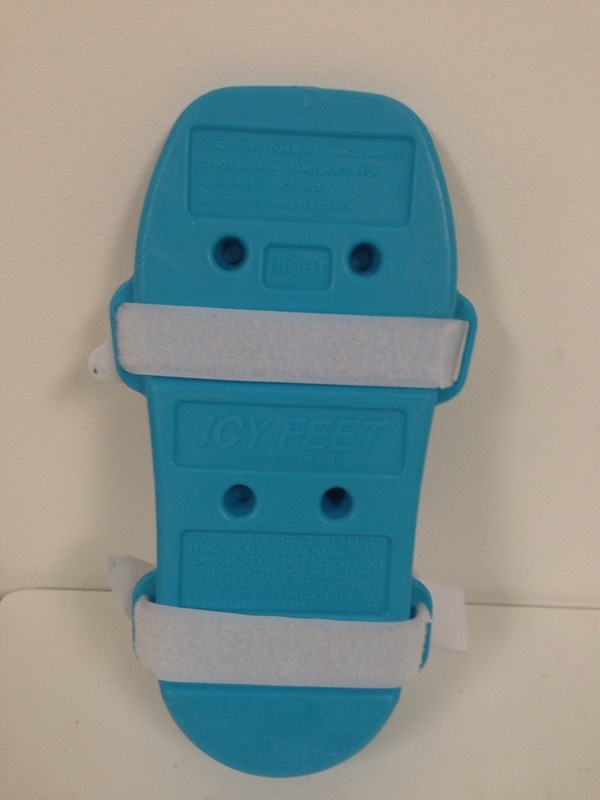 Icy Feet is a simple device that can be quickly applied and provides a cooling effect to the entire plantar aspect of the foot. It is simply a frozen plastic container similar to a freezer pack found in picnic cooler. 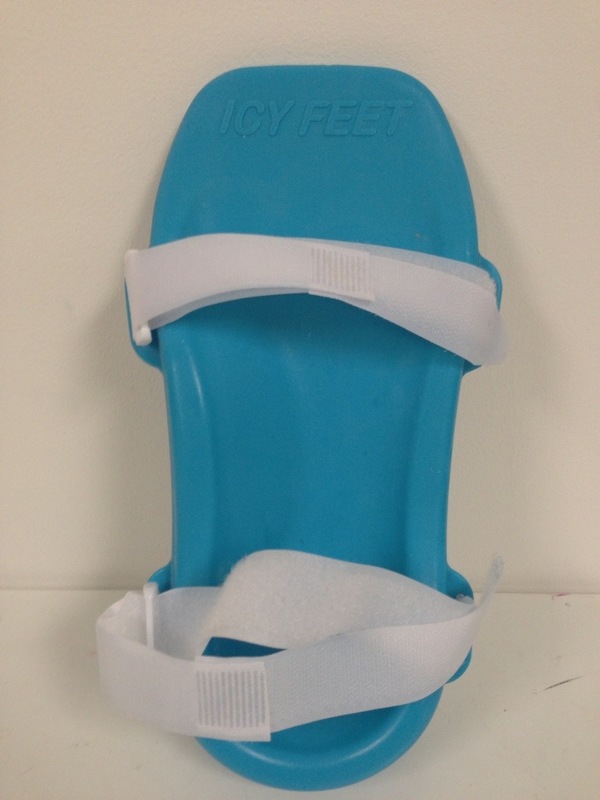 It is contoured to fit most arches providing contact to heel and arch and midfoot. 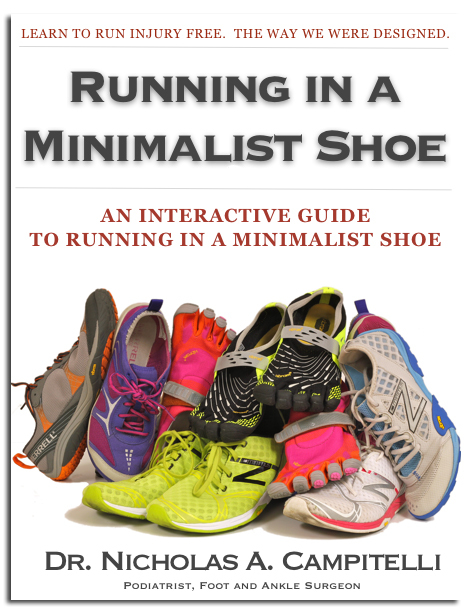 I was first introduced to this device at The Running Event where it’s designers were displaying the product. I was a bit skeptical being that ice is free and readily available to everyone. At the time I had been suffering from a mild strain of my abductor hallucis muscle from “pushing it” during a 5k race and had been icing occasionally. I was given one to try and can honestly say it is worth the cost. It is nice to quickly grab it and apply in seconds without worrying about preparing an ice bag and getting anything wet. The creators do not recommend standing on it or using without socks but I found both to be fine. It does produce some condensation which made it slippery but it was nice to be able to ice my foot while preparing breakfast and packing my lunch! The true question I have is does Icy Feet cool tissue to the same degree as ice. When ice melts it pulls the heat from the tissue creating a cooling effect by the transfer of heat. 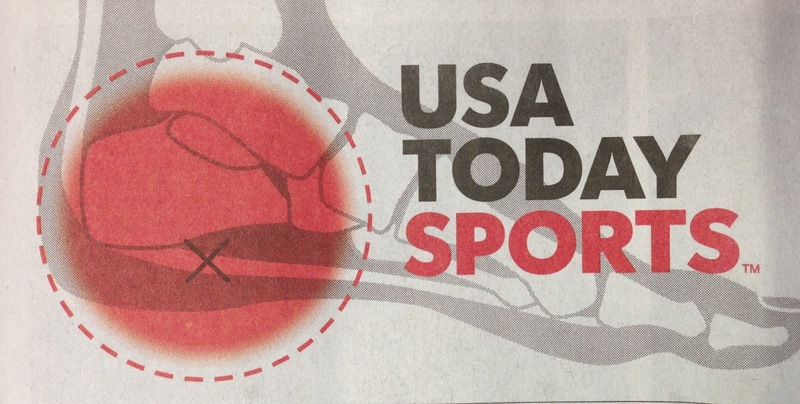 Most studies on on the effects of “icing” and it’s physiologic changes have been done on true ice or frozen water. The product is currently being studied at a university which hopefully will answer these questions. In the meantime, I would definitely recommend this for anyone suffering from heel pain or arch pain as it is very convenient and easy to use. It also felt great to apply them to both of my feet after a long run!! Keep up the great work! 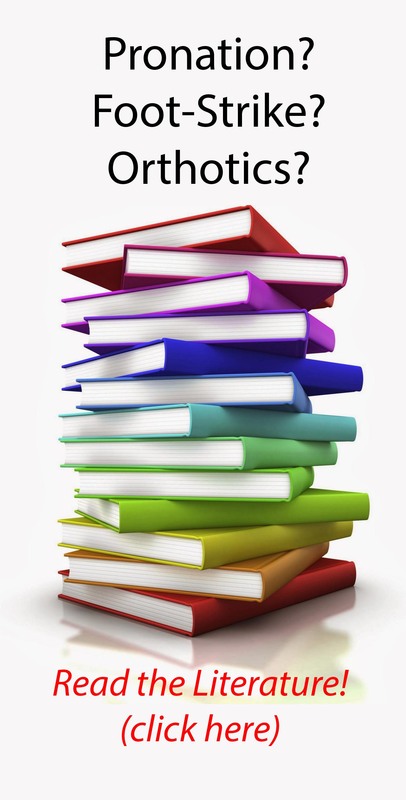 You realize, a lot of people are hunting around for this info, you can help them greatly.